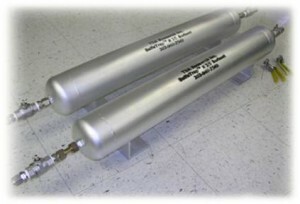 Effective utilization of natural gas, liquefied petroleum gas (LPG), and biogas (anaerobic digester gas – ADG) in fuel cell applications requires effective removal of sulfur impurities (naturally occurring sulfur compounds and sulfur bearing odorants) to prevent them from degrading the performance of the fuel cell stacks and poisoning of the catalysts used in the fuel processor. TDA has developed SulfaTrapTM sorbents with DOE SBIR funding to remove organic (sulfides, mercaptans, THT, disulfides and trisulfides) and inorganic (H2S, COS) sulfur compounds from various gas and liquid hydrocarbons. Our sorbents reduce the sulfur level in the fuel to very low levels (low ppbvs) to ensure maximum protection to the fuel cell. Our sorbent preparation process enables us to introduce various surface groups active for removing different compounds. Large pores accommodate different active groups. We also design sensors that are designed for use in gas phase systems where various sulfur species may be present and whereby detection of ultra-low levels of these species is necessary.